On-Line Analytical Processing (OLAP) is a data analysis technique typically used for local and well-prepared data. However, initiatives like Open Data and Open Government bring new and publicly available data on the web that are to be analyzed in the same way. 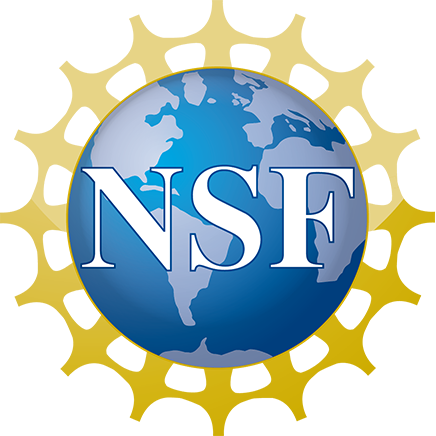 The use of semantic web technologies for this context is especially encouraged by the Linked Data initiative. There is already a considerable amount of statistical linked open data sets published using the RDF Data Cube Vocabulary (QB) which is designed for these purposes. However, QB lacks some essential schema constructs (e.g., dimension levels) to support OLAP. Thus, the QB4OLAP vocabulary has been proposed to extend QB with the necessary constructs and be fully compliant with OLAP. 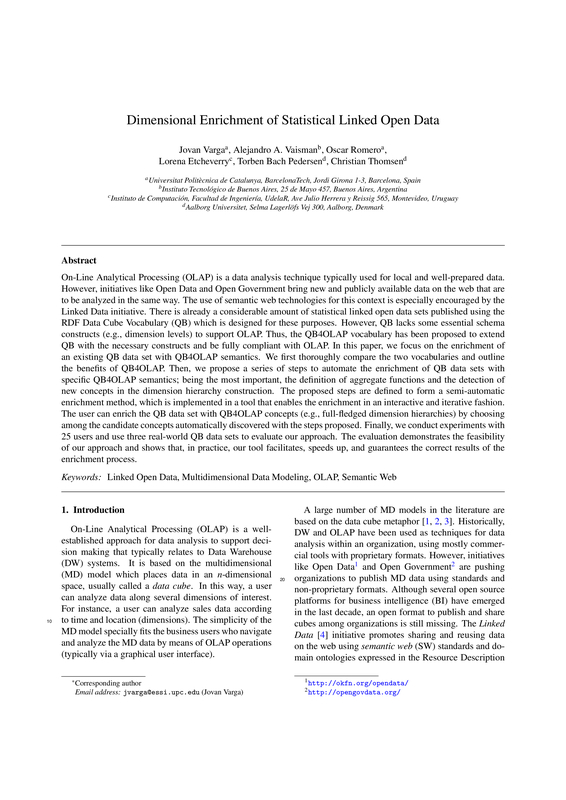 In this paper, we focus on the enrichment of an existing QB data set with QB4OLAP semantics. We first thoroughly compare the two vocabularies and outline the benefits of QB4OLAP. Then, we propose a series of steps to automate the enrichment of QB data sets with specific QB4OLAP semantics; being the most important, the definition of aggregate functions and the detection of new concepts in the dimension hierarchy construction. The proposed steps are defined to form a semi-automatic enrichment method, which is implemented in a tool that enables the enrichment in an interactive and iterative fashion. The user can enrich the QB data set with QB4OLAP concepts (e.g., full-fledged dimension hierarchies) by choosing among the candidate concepts automatically discovered with the steps proposed. Finally, we conduct experiments with 25 users and use three real-world QB data sets to evaluate our approach. The evaluation demonstrates the feasibility of our approach and shows that, in practice, our tool facilitates, speeds up, and guarantees the correct results of the enrichment process.